Which Tile Should You Use? As you develop the details of your home build or remodel, the finishing touches like flooring, wall surfacing and decor are anything but an afterthought. These choices can have a dramatic impact on the overall quality, comfort and functionality of your new home. If you’re working on some of those final decisions and need a primer on how tile can be installed to fit a wide variety of needs, we’re here to help you choose the right tile for the job! 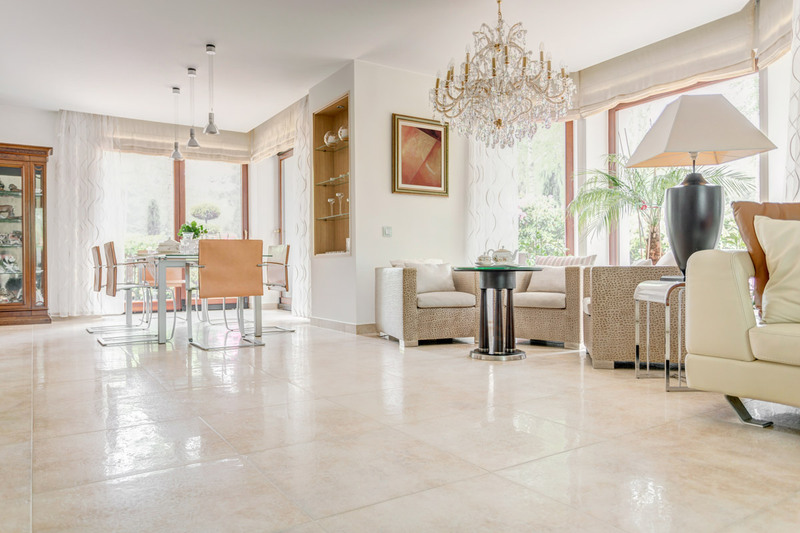 If you have a high traffic area in your home, you’ll want a tile that can stand the test of time — and spills and stains. Timeless porcelain tile perfectly fits the bill. The water absorption rate for porcelain tile is 0.5%, which means they are water and stain proof. This can make them ideal for bathrooms and laundry rooms, but also other heavy wear areas like entryways. Ceramic tile is porcelain’s equally durable cousin, also made from pressed and fired clay. Ceramic is not quite as refined as porcelain, which might bring the price tag down a bit as well. Still in the fired clay family, terracotta is a classic option for patios and front steps. This rustic tile can be irregular in color and shape, which can lend unique character to a surface. Natural stone is another good choice for outdoor uses. Granite, marble, slate and engineered quartz all fall into this category. In likelihood, granite or slate will be your go-to for outdoor spaces, while the refined look of marble or quartz might be better placed indoors. If you’re looking for a striking tile choice, you have options — and they’re not even limited to flooring. Cement style can be cast with a wide variety of tints, making it ideal for creating durable, affordable patterns on your floors, walls, and backsplashes. Glass tile can be cast in an endless range of colors and tones, serving as a great material for mosaics which can be placed on any flat surface, including furniture. For the ultimate appearance versatility, vinyl tiling takes the prize. Although less durable, vinyl tiling is the cheapest and can mimic an endless array of other materials, patterns and designs. Because it’s also much lighter than the other options on this list, it can be used almost anywhere without structural concerns caused by added weight. Vinyl tile is also fairly quick to rip up and install, so if you aren’t ready to commit to a lifetime of another tile type, vinyl is the friend of the indecisive! Has this list left you with some new ideas? Can’t wait to get started? WillowTree is ready when you are to see your next home construction project to completion!